SCVHistory.com | Advertising Art of the Movies | Old Town Newhall Library, February-May 2013. From the dawn of "Western" silent movies to the blockbusters of today, the Santa Clarita Valley has played a starring role in the motion picture and television industry. Through movie posters and lobby cards (small posters that were displayed in movie theaters to promote coming attractions), this display of motion picture advertising art takes you from Tom Mix to "Twilight" and from the Old West to outer space. And you never leave the Santa Clarita Valley. From Homer's "Iliad" to Shakespeare's "Macbeth" to "NCIS," audiences have always loved a good drama. Only the tableaus and technologies have changed. The "cop" movie that might be set in the streets of New York or London today (and probably shot in a Santa Clarita studio) was a "Western" that played out in Placerita Canyon a century ago. Movie-goers wanted action-packed crime stories with a sinister gang and a damsel in distress and a dashing frontier lawman who always got the evil mastermind (and usually the girl) in the end. 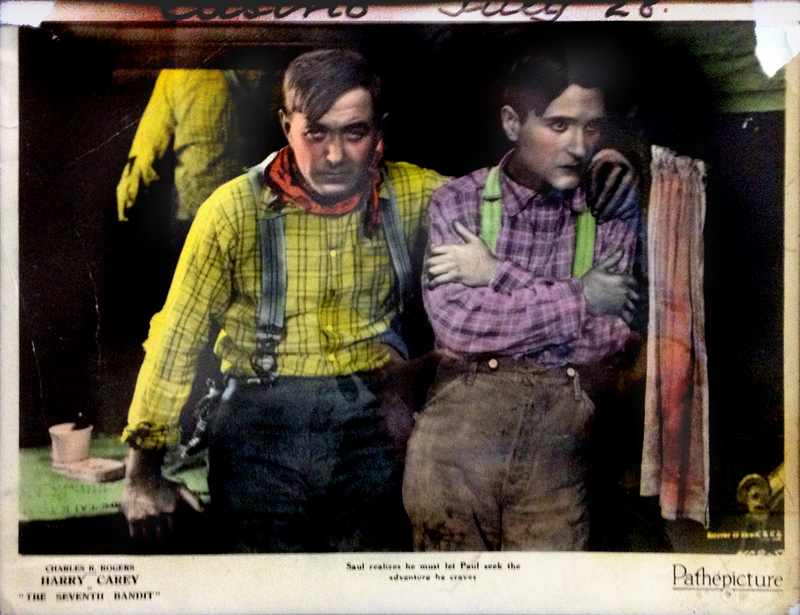 They made stars of William S. Hart and Tom Mix in the early days, welcomed the romance that singing cowboys Gene Autry and Roy Rogers brought to the screen, and identified with the postwar values they saw in Johnny Mack Brown and John Wayne. Today we have E! Online, TMZ.com and People. Yesterday we found Tom Mix signet rings in our cereal boxes and got "the rest of the story" from Hopalong Cassidy novels, Gene Autry comic books and monthly movie fanzines. Whatever tomorrow brings, the concepts endure. For 100 years, from the dawn of Western film to today's action movies and television crime dramas, the Santa Clarita Valley has been in the export business. Right now, in another country, there are people who are seeing Santa Clarita on television or the big screen. It hasn't been a one-way street. 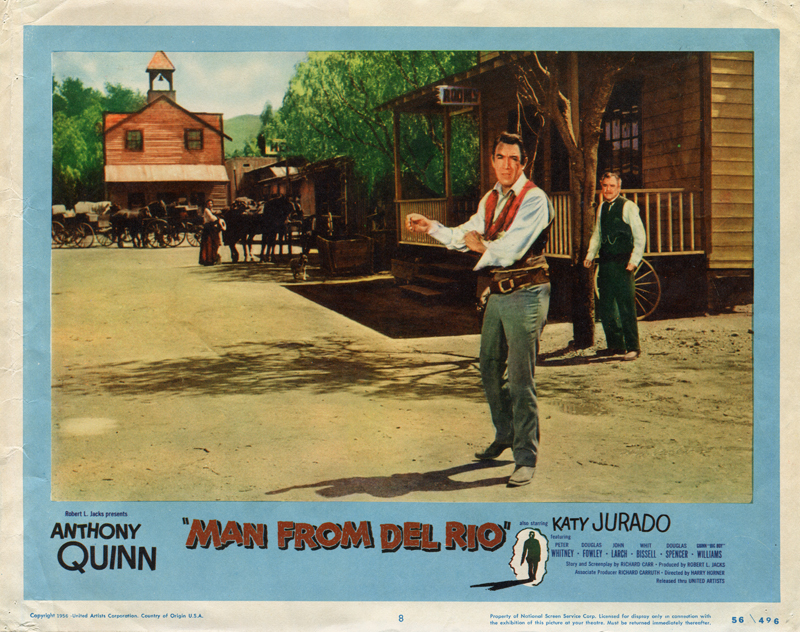 American audiences got their first real exposure to Mexican actress Katy Jurado in 1952's "High Noon," some of which was filmed at Melody Ranch; in 1956 she shared top billing with fellow Mexican native Anthony Quinn in the SCV-made "Man from Del Rio." From the time D.W. Griffith retold the tale of star-crossed "Ramona" in 1910, to the modern period with Quentin Tarantino's "Django Unchained" and television's "Vegas," more people have seen the Santa Clarita Valley on screens around the world than just about any other place on Earth. Santa Clarita's diverse topography, wealth of studios, proximity to Hollywood, accommodating ranchers of yesteryear and "film-friendly" policies of today have attracted filmmakers across time in every genre, whether Gene Autry or Gene Roddenberry, Charlie Chaplin or Mel Brooks, Walt Disney or Steven Spielberg. And as home to one of the nation's top-rated film schools, Santa Clarita takes a bit of vicarious credit every time Tim Burton or Stephen Hillenburg ("Spongebob Squarepants") receives another Emmy or Oscar nomination. As for American film actors who've worked here, the appropriate question would be, "Who hasn't?" Even most Hollywood animals come from the Santa Clarita Valley. Nat Levine was producing movies in Placerita Canyon and other Southland locations in the early 1930s when he hired Gene Autry for an uncredited singing role in "The Old Santa Fe Trail" with Ken Maynard. Levine liked what he heard. 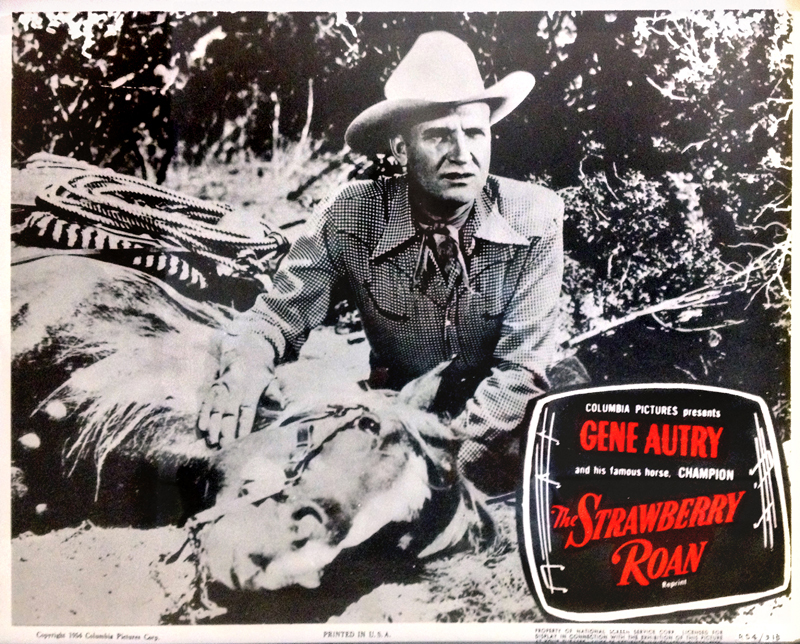 Orvon "Gene" Autry was already an accomplished recording artist  he would later write "Santa Claus is Coming to Town" and record "Rudolph the Red-nosed Reindeer"  and when he transitioned to film, his music became a central element. Music was no longer incidental the story; the story was frequently built around the music. 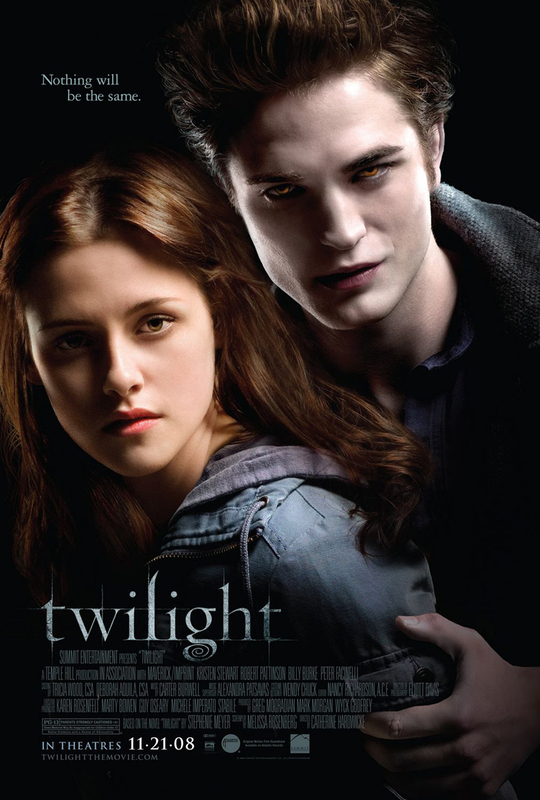 Audiences loved it. 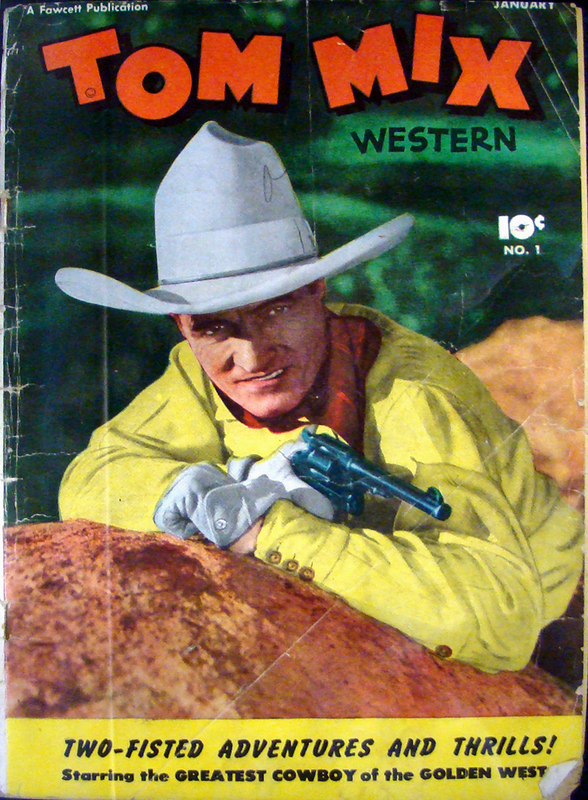 Autry was a $100-a-week player when he appeared at Trem Carr and Ernie Hickson's Placerita Canyon movie ranch in 1935 to star in Levine's "Tumbling Tumbleweeds." A decade later he was earning $13,000 per picture, and a decade after that, he bought Hickson's ranch. Autry called it "Melody Ranch" after his TV show of the same name, which wasn't shot there, and produced several TV serials, which were shot there, such as "The Life and Legend of Wyatt Earp" with Hugh O'Brien and "Gunsmoke" with James Arness. Trem Carr and Ernie Hickson came to town in the 1920s to make movies. In 1931, Carr formed Monogram Pictures Corp. and leased property in Placerita Canyon where Hickson built a Western movie town. Located where Disney's Golden Oak Ranch sits today, Carr and Hickson's original ranch launched many careers, including John Wayne's. 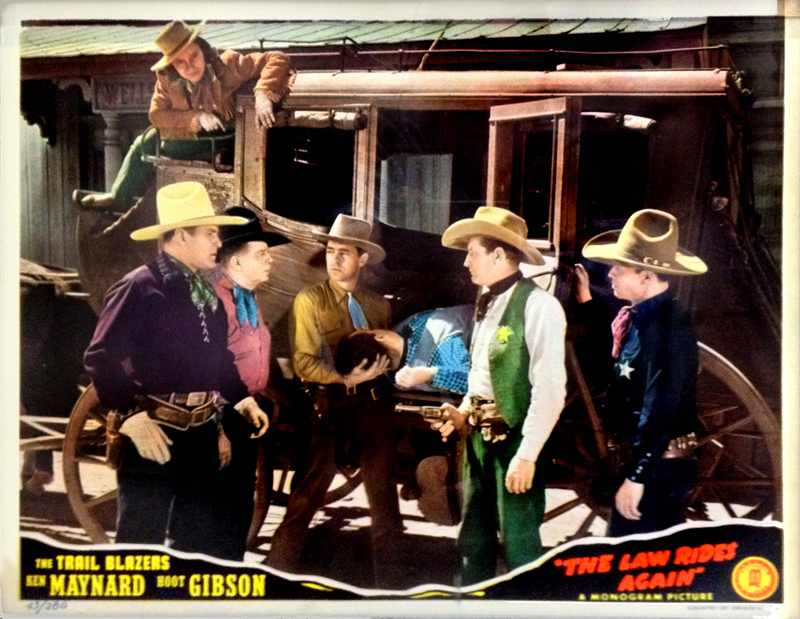 In 1936, Carr and Hickson hauled their movie town westward down Placerita Canyon Road and made many of the "B" Westerns that audiences paid a quarter to see at the theater. 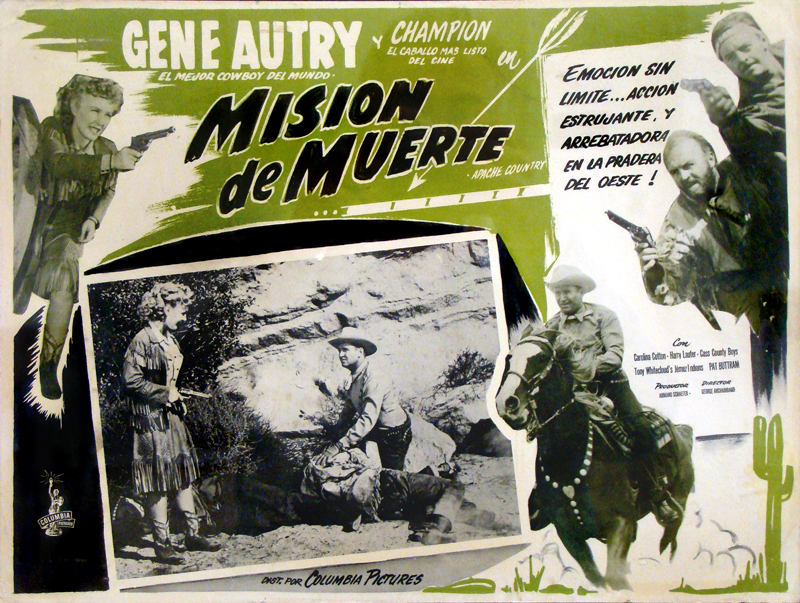 Following Hickson's death in 1952, Gene Autry bought the ranch and renamed it. Autry's Melody Ranch was used for feature films and television series until August 1962 when a valley-wide brush fire consumed the Western sets that Hickson had built. For nearly 30 years the property was little more than a pasture for Autry's movie horse, Champion. After Champion died in 1990, Autry sold the land to the Veluzat family, and like a phoenix rising, Melody Ranch was rebuilt for TV shows like HBO's "Deadwood" and feature films like "Django Unchained," as well as commercial and music video production. Every year since 1994, "locals" have gotten a personal look at Melody Ranch when it hosts the Santa Clarita Cowboy Festival. 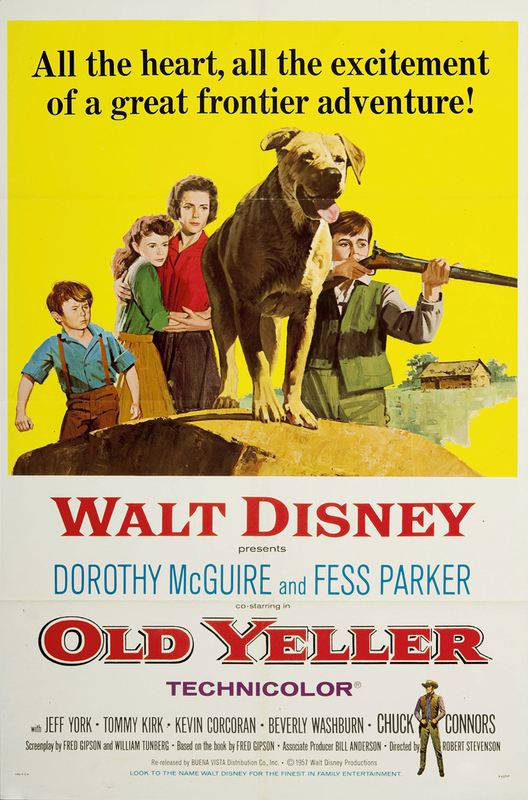 When a mutt changes a boy's life in "Old Yeller," it happens in Placerita Canyon. When Captain Kirk battles the Gorn commander in the original "Star Trek" series, the alien planet is Vasquez Rocks. 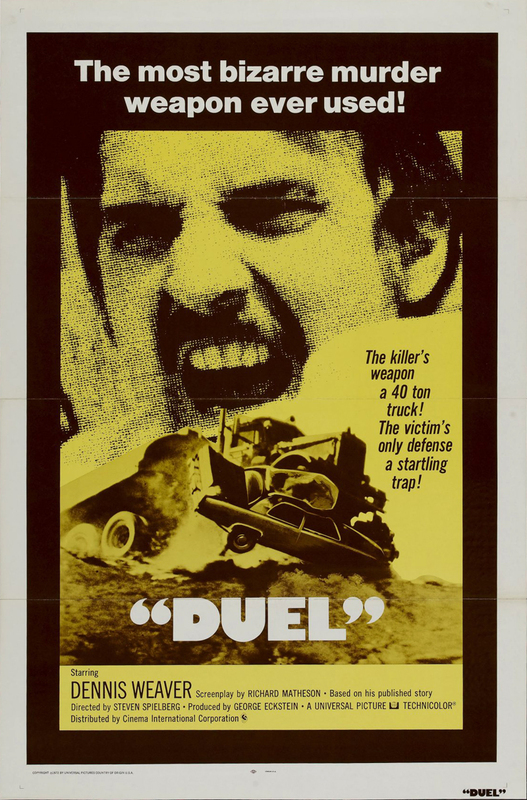 When a psychotic truck driver chases Dennis Weaver in Steven Spielberg's "Duel," the chase is on Sierra Highway and Vasquez Canyon Road. 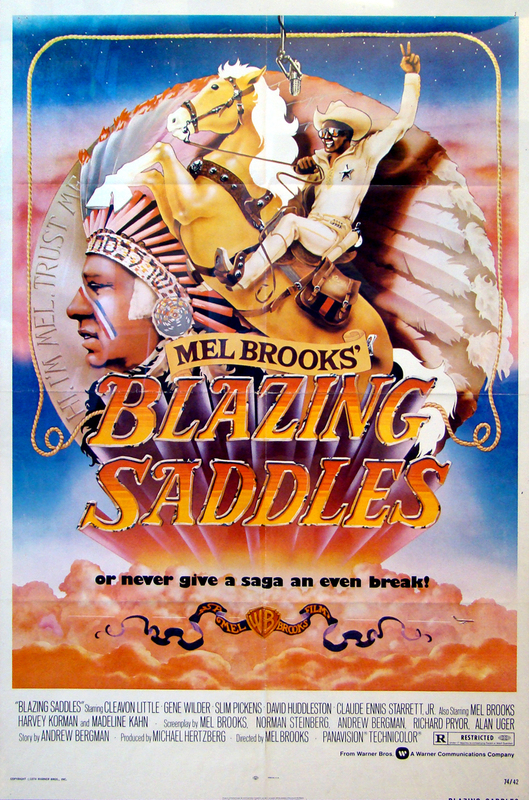 When Count Basie performs (and Gene Wilder and Cleavon Little blow up the fake town of Rock Ridge) in Mel Brooks' "Blazing Saddles," it's Agua Dulce. When Arnold Schwarzenegger walks naked into a bar at the beginning of "T3," it's Sierra Highway. When alien spaceships attack U.S. cities in "Independence Day," the movie magic happens at Walt Disney's Golden Oak Ranch studios in Placerita Canyon. When earthlings fight back against the Martian invaders in Spielberg's "War of the Worlds," it's Saugus. When Kiefer Sutherland can't stop a nuclear bomb from going off in "24," it's Valencia. It's not all about the Westerns.